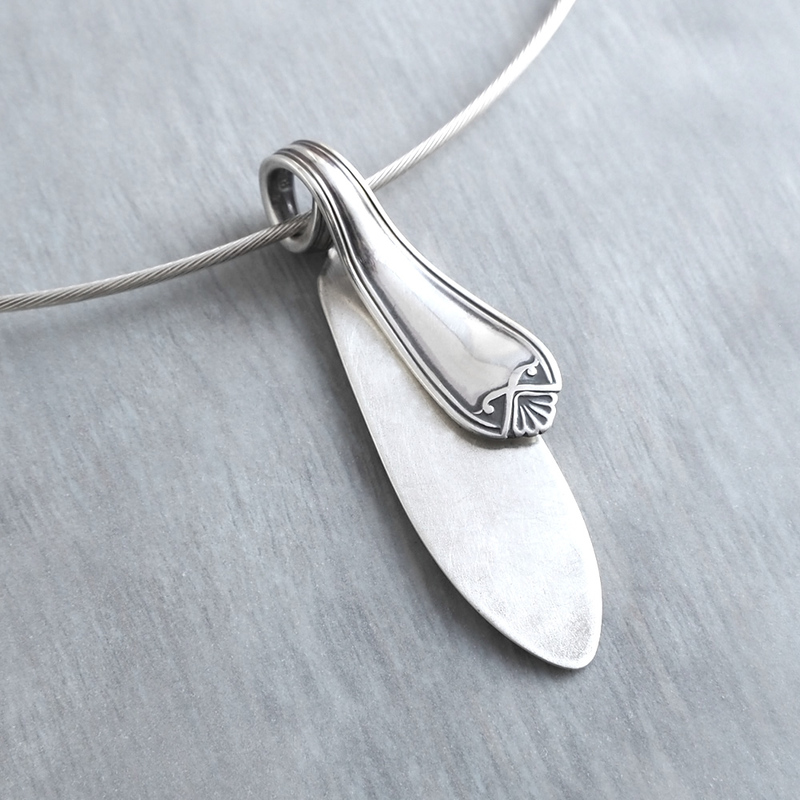 This is a unique one off pendant made from a sterling silver butter knife that dates back to 1932. 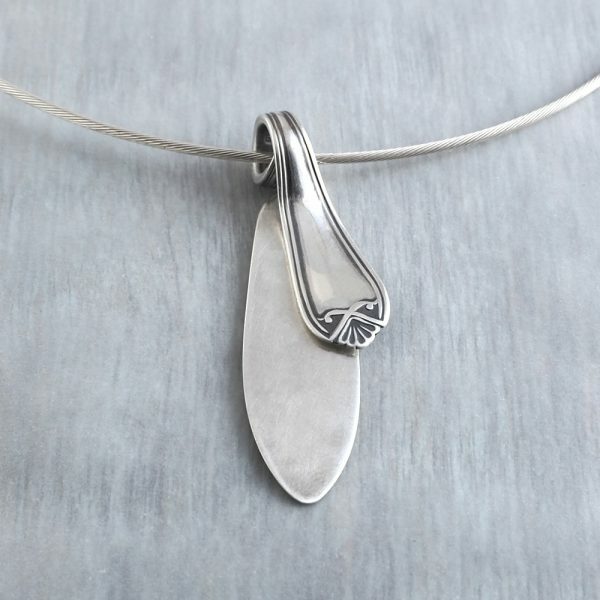 The butter knife was originally made in Sheffield by silversmith Cooper Brothers & Sons Ltd. I’ve lovingly transformed it from functional to fashionable and it can now adorn your neck as a wearable heirloom. The surface of the flat area of silver has a slightly brushed/frosted finish which contrast beautifully with the polished surface of the stem. 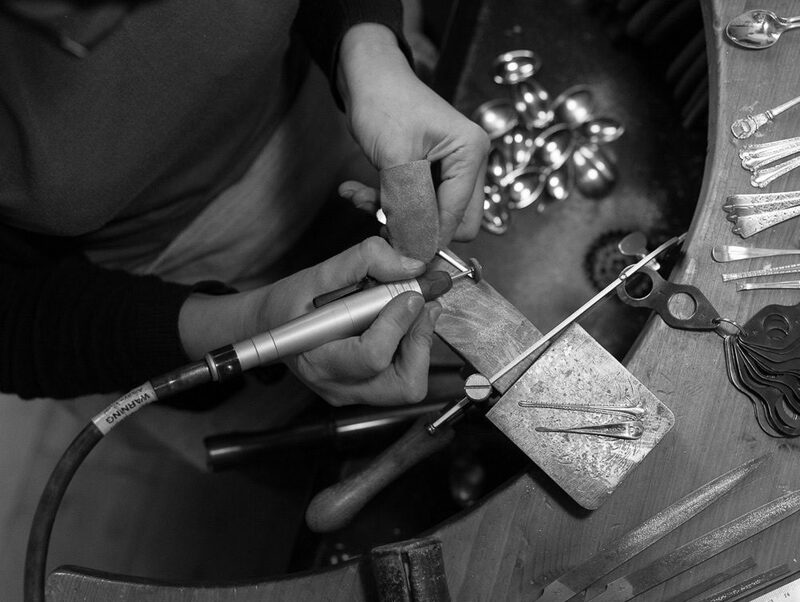 The stem has been twisted round to create the necklet bail and positioned at an angle to the rest of the piece. Hung on 40cm / 16″ thick 1.5mm sterling silver cable necklet with a bayonet clasp. This unique butter knife necklet measures approx. 5.5cm from top to toe. There are only two necklets in stock and the photograph shows the exact piece you will receive. The original hallmark is retained on the stem of the butter knife but is hidden.